The wait is finally OVER! Here is the long-awaited debut E.P from 16-year old Hip-Hop artist and rising star KILT KRANIK titled Prince of the Throne. Released via burgeoning Ibadan record label Gberatinrin Studios, produced by Buster Keyz - with Magic Fingers at the helm for "Intro (Prince of the Throne) and "Forever" - and featuring Phizzle, Mini Yong and Kentroworld’s DaFols, this 10-track record from one of Nigeria’s very promising young artists is set to be the crucial soundtrack for the rest of your 2012. With room for only a handful of features on his debut E.P, this 10-track affair is the quintessential introduction of KILT KRANIK to his burgeoning fan base and staunch critics and with this E.P striking the right balance between radio friendly club singles such as “Gaga Go” and “Bad Man” and fierce hard-hitting rap tracks such as “Son of a Gun” and “Forever”, this Prince of the Throne E.P has something for everyone, no matter what your taste palette dictates. The young and exciting Ibadan-based newcomer has steadily been building an undeniable buzz for himself and this debut project over the last 18 months with a string of stellar singles and hugely impressive features including the recently released lead single “African Bad Boi” which has been causing quite the stir on tastemaker music blogs and social media networks alike, the “Wagwan” music video which is doing good rounds on your favourite TV stations right now and the massive “Rewind Your Mind” collaboration with Phizzle which introduced us toKranik in the first place. The anticipation is finally OVER! 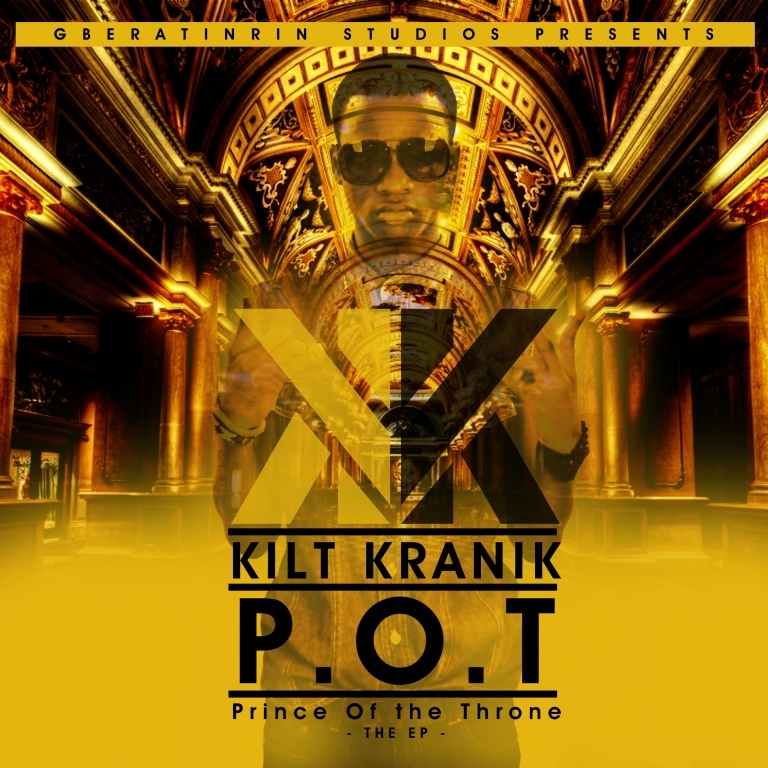 Kilt Kranik’s Prince of the Throne E.P is OUT NOW!